For online sellers, Amazon is a major double edged sword. About half of Amazon sellers use the services of Amazon’s logistics arm, Fulfillment By Amazon (FBA) to store and ship out goods. Amazon leverages its power to set fulfillment pricing and FBA shipping policies that are not always supplier-friendly. Despite this, many suppliers view FBA as a necessary evil. With over 100 fulfillment centers in the U.S alone (and growing rapidly), Amazon/FBA can easily execute Amazon requirements for free, two-day shipping under the Amazon Prime program. Suppliers want access to Prime buyers (they spend twice as much as non-Prime buyers on Amazon), so they tolerate rigid FBA shipping and inventory policies to automatically qualify for Prime. Amazon has strict routing requirements for inbound shipments to Amazon warehouses (if you want to see these requirements, here they are). They dictate the size and weight of the box, paperwork requirements, how products are packed in the box, and the contents and position of box labels. If inbound shipments do not meet the spec, the entire shipment can be returned – at your expense! Requirements for EDI data transmissions and label creation are equally detailed and well documented. In general, very large shippers have little problem with Amazon’s requirements, but SMEs without dedicated fulfillment and IT staff can struggle. ->> 4 efficient international shipping tips for e-Sellers. Amazon is one of the world’s largest logistics companies, and they store and ship goods very efficiently. A big reason: Rigid policies. Let’s look at some restrictions of FBA. High storage costs that rise during the holiday season. FBA storage rates for standard products can be 3-4 times what a regular outsource 3PL might charge. And during the holidays, Amazon’s $0.69 per cubic foot storage charge spirals up to $2.4 per cubic foot for the same space. Penalties for slow moving inventory. 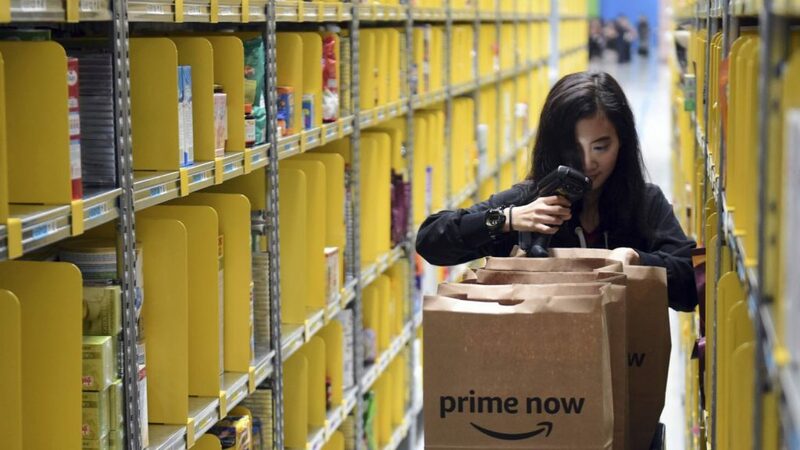 Once product is in the FBA warehouse, Amazon expects it to move. If one or more of your SKUs doesn’t sell as planned, you pay. As you can see, these charges are incremental to the standard storage charge. When your product ships from an FBA warehouse, it arrives at your customer’s door in an Amazon box, diminishing the overall experience with your brand. Let’s say, for orders of a certain shampoo, you want to include a flyer promoting a special offer for a hair conditioner. Sorry. No go. To maintain maximum efficiency in the FBA warehouse, Amazon wants to simply pick and ship. There are limited options to customize. If you find yourself tangled up in these costs and complexity, it might be time to look for other solutions. Amazon merchants have no excuse not to give Shopify a go, and vice versa. In addition, Shopify merchants selling branded products can sign up for protection under the Amazon Brand Registry. Not only does this program help sellers protect their registered trademarks on Amazon, it also offers them full control of their listings and there’s no need to include Global Trade Item Numbers. There are plenty of benefits to be found here. First off, you’ll gain a new distribution channel and access to millions of potential customers. But that’s not all. Adding the Amazon sales channel to your Shopify account enables you to sync product details, variants and images to create listings on the marketplace without entering information manually. At the same time, you can manage your entire inventory for both your Shopify and Amazon stores (and anywhere else you’re selling) in one place, so that you’ll never sell your last item to multiple buyers. While there are no additional Shopify fees for selling on Amazon, you do need to operate a Professional Seller account, which costs $39.99 per month, plus a referral fee based on your product’s category. Shopify will also take a percentage of net revenue on every sale you make through Amazon. Amazon gives you the option of being an Amazon FBM (Fulfillment by Merchant) to the extent you don’t want to be an Amazon FBA seller. As an FBM seller, you handle the packing, shipping, storage, customer service, and returns of your products yourself, rather than paying for the Amazon FBA service. Sellers have complete control over their inventory and don’t need to split their inventory between Amazon’s warehouse and their own. This can help during big selling day like Black Friday or Prime Day as they do not have a limit in how much they can sell. As you will no longer be paying those fees to Amazon for your orders, it is likely that your profit per product will be slightly higher than if Amazon were to fulfill the orders. However, as an FBM seller you will likely have less sales overall. This is because over half of products on Amazon are prime and customers often prefer the free-today shipping as they are paying for it with their prime-membership fee. In contrast to FBA sellers who receive merely a box of returned items from Amazon, FBM sellers can match returned products with the customer, therefore lowering the risk of fraud. As an FBM Seller, you are responsible for all packaging, shipping, and management of inventory. While some sellers might prefer to have this control, this might be overwhelming for high volume sellers as you must fulfill orders timely or Amazon will penalize you (lower your chances of being in the Buy Box). In order to be competitive with other sellers who are FBA sellers, oftentimes FBM sellers will need to price their items lower to be in the Buy Box. If you’re feeling like Amazon FBA is no longer the best way to go, your best bet might be to switch your stream of products into Vietnam and practice indirect dropshipping. Plenty of e-Commerce platforms out there apart from Amazon provide useful sources to dropship. And the number is so abundant that you could establish your central Vietnam store right away and leverage your products on eBay, Shopify, Etsy, Magento, etc..
For online sellers in Vietnam like you, when it comes specifically to (international) shipping, third-party logistics providers (3PLs) can help meet Amazon’s shipping and routing requirements, and can even be an attractive alternative to FBA shipping.